Last night, PETA’s ‘Rak of Aegis’ officially closed its 6th and final run at the PETA Theater Center. The 2018 staging ran for 77 shows to sold-out performances from June 20 until September 2, 2018. The musical ran for almost 400 shows since it opened in 2014. 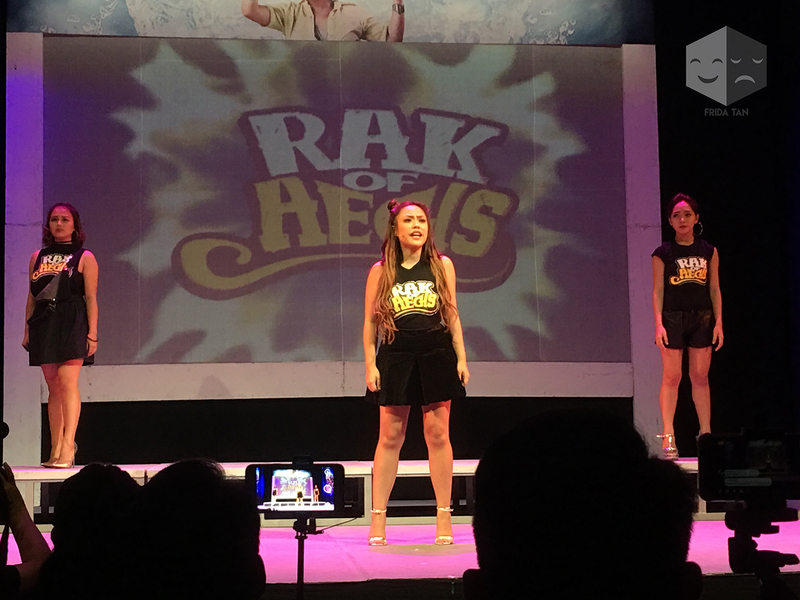 WATCH: ‘Rak of Aegis’ 2018 Cast Performs ‘Basang-Basa sa Ulan’, ‘Sinta’, and More! All cast members who were a part of this year’s run came together to sing the finale song, ‘Munting Pangarap’, at last night’s closing. 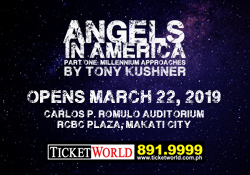 These actors include Kim Molina, Shaira Opsimar, and Princess Vire as Aileen, Jerald Napoles, Pepe Herrera, Kent Pontivedra, and Joshua Bulot as Tolits, Ron Alfonso, Phi Palmos, Jimmy Marquez, and Adrian Lindayag as Jewel, Myke Salomon, Poppert Bernadas, Vince Lim, and Remus Villanueva as Kenny, Robert Seña, OJ Mariano, Renz Verano, and Lorenz Martinez as Kiel, Kakai Bautista, Joann Co, Neomi Gonzales as Mercy, Isay Alvarez-Seña, Sweet Plantado-Tiongson, Shiela Valderrama-Martinez, and Carla Guevara Laforteza as Mary Jane, Gie Onida, Juliene Mendoza, and Rody Vera as Fernan, and ensemble members Roi Calilong, Chamyto Aguedan, Carlon Matobato, John Moran, Gio Gahol, Matel Patayon, Crystal Paras, Gab Pangilinan, Abi Sulit, Gimbey dela Cruz, Gold Villar-Lim, and Teetin Villanueva. Cast members, as well as the creative and production teams, also went on stage for their final bows. You can watch performances from the show’s very first press conference in the videos below. Original Aileen Aicelle Santos sings ‘Basang-Basa sa Ulan’. The artistic team of ‘Rak of Aegis’ includes director Maribel Legarda (director), playwright Liza Magtoto, musical director, arranger, and vocal director Myke Salomon, choreographer Gio Gahol, set designer Mio Infante, lights designer Jonjon Villareal, costume designer Carlo Villafuerte Pagunaling), shoe designer Maco Custodio, and accessory designer and Jo-ann Pamintuan.